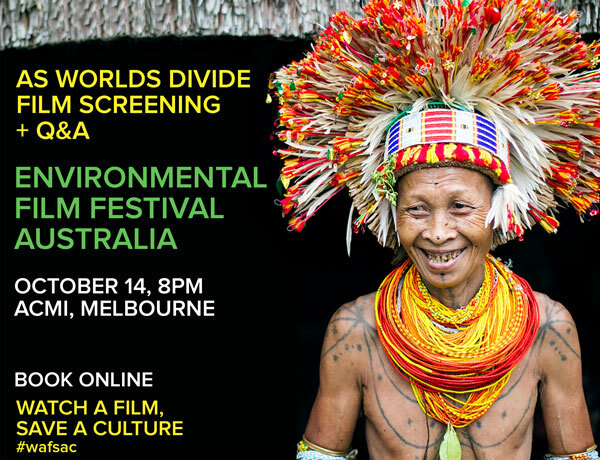 As Worlds Divide is screening at the Environmental Film Festival Australia (EFFA) in Melbourne on Sunday, October 14th at 8pm. 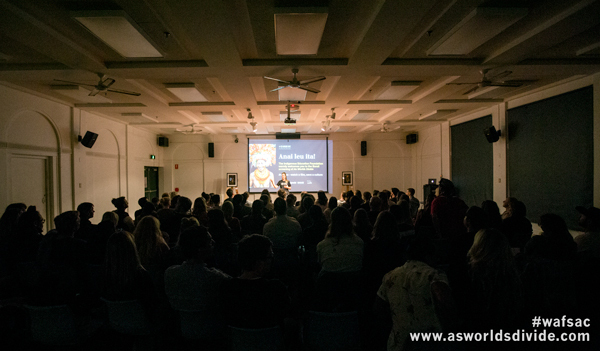 This will be followed by a Q&A with Producer and Director, Rob Henry; moderated by Dr Alexander Cullen from the University of Melbourne. Book your tickets online via ACMI, by clicking this link: EFFA tickets. Whilst there, we recommend browsing the EFFA 2018 program, as there are many inspiring people sharing their stories to keep our planet safe. 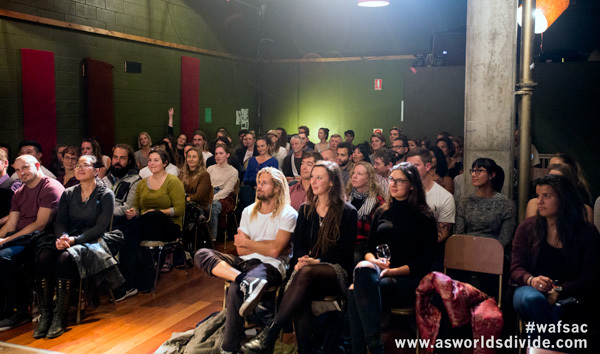 Thank you for the ongoing support for our Mentawai film and their cultural education program. We greatly appreciate your ongoing support and donations. For further details about this cultural education program, including monthly progress reports, visit our Indigenous Education Foundation (IEF) website. In other news, As Worlds Divide has now received awards at numerous international documentary film festivals, including most recently the Deauville Green Awards’ Golden Green Trophy. Further announcement regarding upcoming film festival screenings will be posted here or on our Facebook page over the coming month/s. 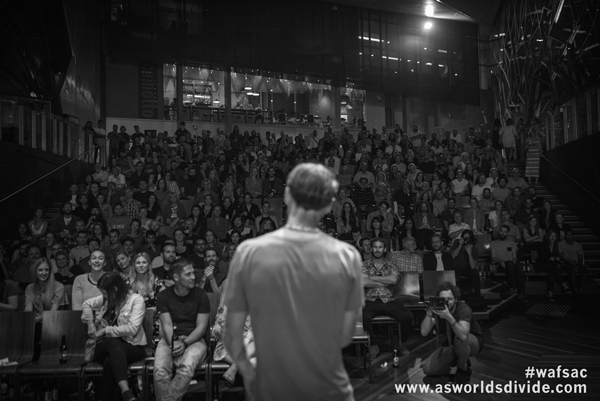 Again, thank you to everyone who has purchased the As Worlds Divide film over the past few months. The proceeds / donations received are already being utilised and bringing positive impact to Mentawai’s Indigenous community. 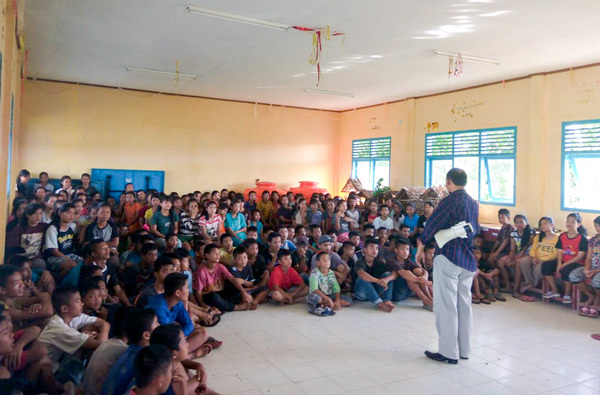 Inspired by the level of support shown by people all around the world, the Suku Mentawai Education Foundation have been fortifying their program by further developing the curriculum material to be taught within their program. Their aim is to have the program’s cultural education booklet complete by June, 2018. 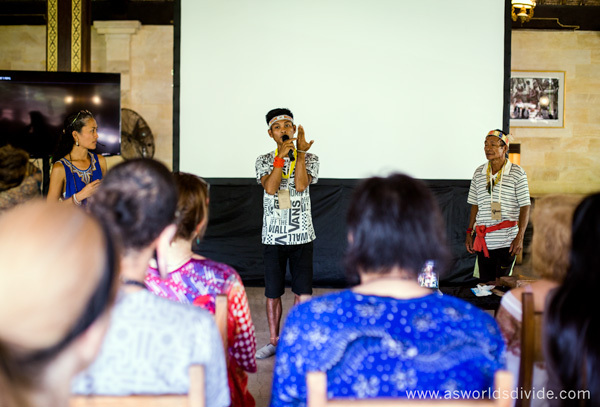 During November and December 2017, with support from Mentawai Government education departments, the team have been presenting their Indigenous education program at junior and senior schools throughout Siberut – discussing the importance of Mentawai culture and knowledge of their forest environment. 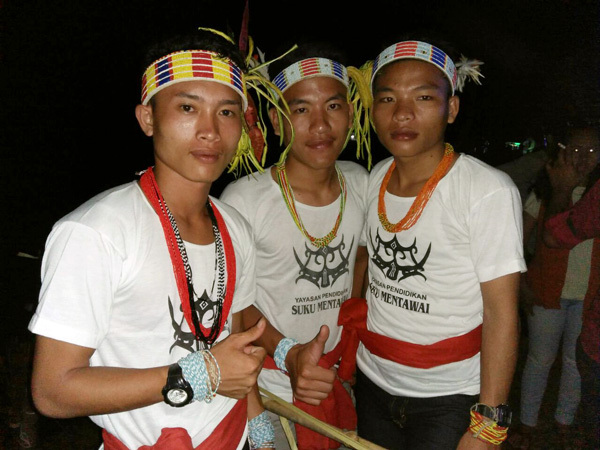 The students are responding with great pride and enthusiasm and are keen to participate in the Suku Mentawai program as an extracurricular activity. 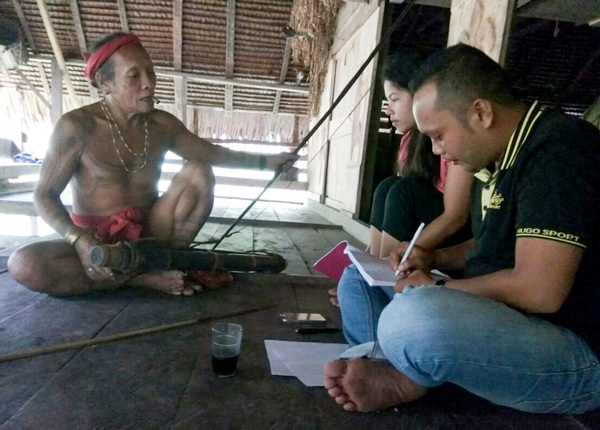 The Foundation’s cultural education division have also begun identifying and training teachers for three program locations in Siberut’s southern districts, where the program is being commenced. Beyond this, they’ve also begun expanding their socialisation activities throughout schools in Siberut’s central regions. The aim is to begin Mentawai cultural and environmental classes here in July, 2018. 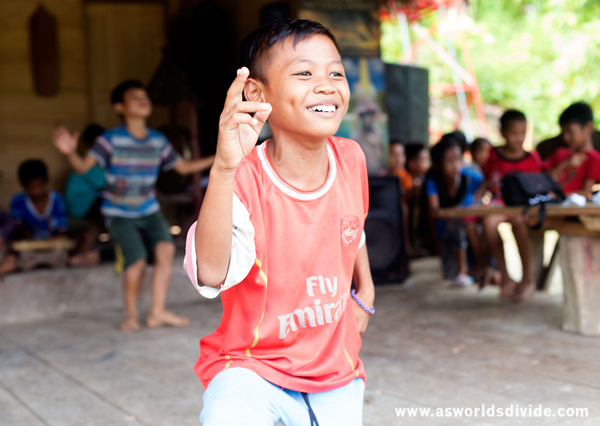 The team at the Suku Mentawai Education Foundation are grateful for your support. Without your purchases / donations, their program would not be where it is today. The ‘Watch a film, save a culture’ wafsac reached its 30th day last Monday. Whilst we’ve yet to reach our targets in terms of funds raised, we are extremely grateful and moved by the level of support you’ve given over the past month – particularly by how far the voice of Indigenous Mentawai has been carried across Australia and around the world. Thank you. 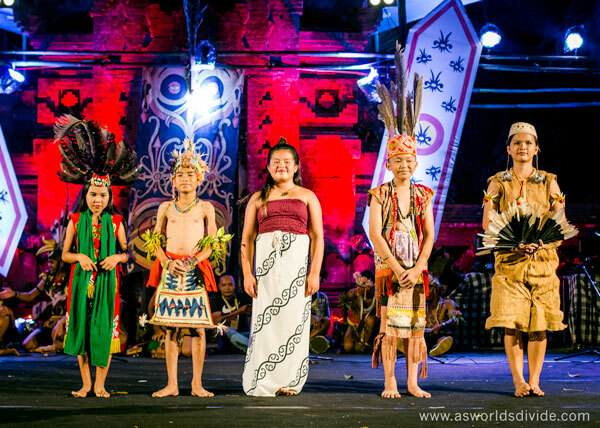 During this period, the Mentawai Cultural Education Foundation have been introducing the program throughout their community, which is immediately altering the way the children perceive their cultural knowledge and its value. Incredible to see how such a small change can have such a large impact. 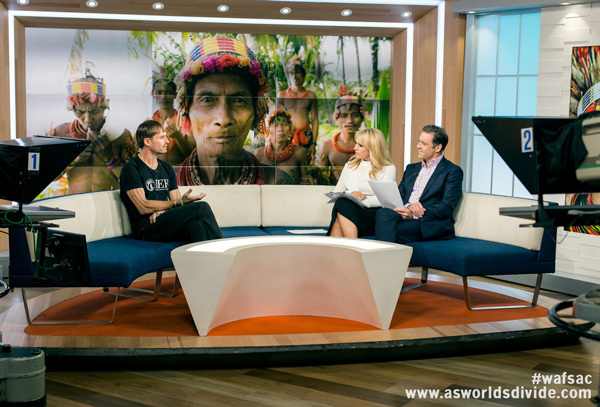 In much the same way, the Mentawai Foundation is drawing a great deal of strength and inspiration from seeing their culture and their initiative to protect it being supported by national and international media and people from all around the world. Through raising this support and awareness over the past month a number of exciting opportunities have arisen. 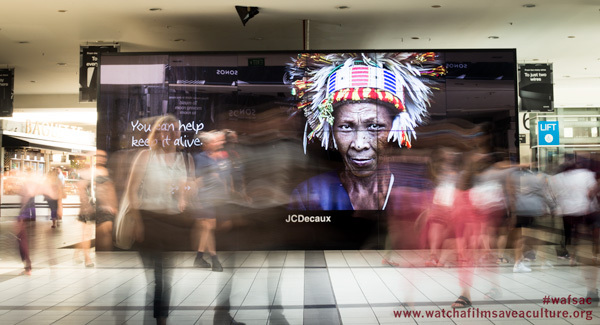 One in particular, involving The Hallway, a very innovative creative concept and support from JC Decaux, has now been confirmed to roll out later this month. What this means is that WAFSAC is BACK! Stay tuned for further updates, but for now please be aware that we’re extending our wafsac drive through until the end of November. If you haven’t done so already – please jump on over to the www.iefprograms.org/wafsac page and grab a copy of the As Worlds Divide film. 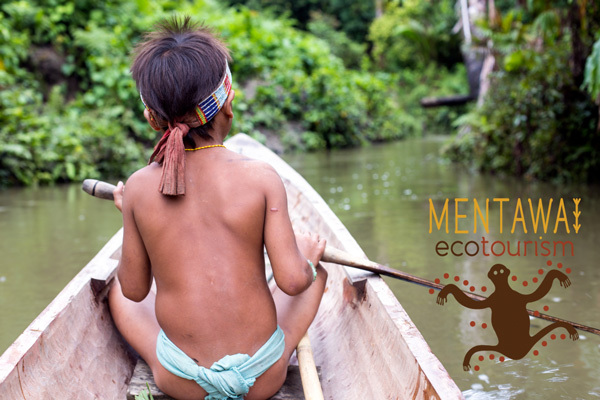 $10 to help Mentawai protect their future – a small price as opposed to the devastating loss of yet another unique Indigenous culture. Great prizes to be won too. Look here. Dreaming of escaping the office to a secluded, tropical island and some of the best saltwater barrels in the world? 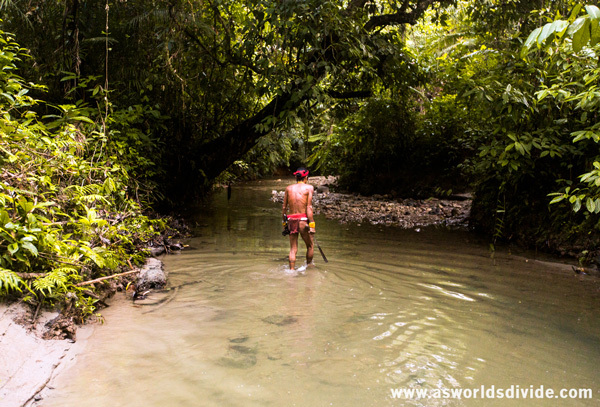 Or perhaps in need of kicking off your shoes and experiencing one of the most biodiverse rich rainforests and cultures the planet has to offer? 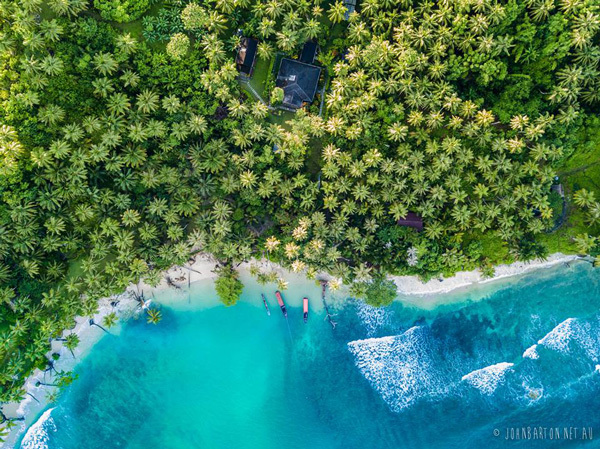 In support of the Mentawai WAFSAC, our friends at Pitstop Hill Mentawai and the community-run Mentawai Ecotourism are offering you the chance to win one of two incredible travel experiences. Purchase As Worlds Divide for AUD $10 via Paypal here, and simply enter promo code ‘PHM11’ or ‘JUNGLE7’ below the checkout to enter. 10 entries for every $10 contributed. Film available to stream or download so you can watch at any time. Also, everyone who purchases As Worlds Divide during this 30-day campaign will receive a free 2-month subscription to Garage Entertainment and Madman’s Docplay movie platforms. Buy one film and get access to thousands more! You’ll also be entered into the draw to win a $500 gift card from Patagonia. Use the slider at the PayPal checkout to nominate your price. Watch a film, save a culture, and WIN?! Makes sense. Click here. #wafsac today. 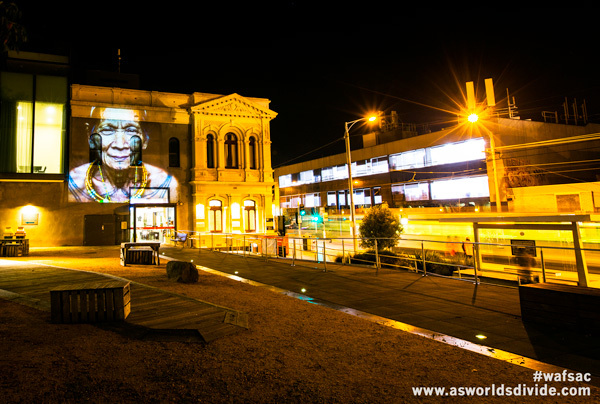 We are now just 1 week away from launching the global 30-day ‘Watch a Film, Save a Culture’ #wafsac. 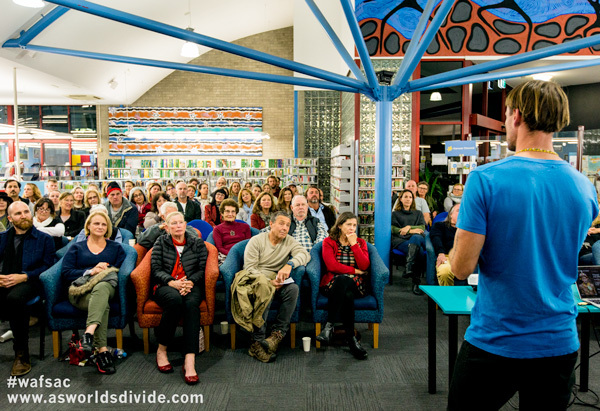 The As Worlds Divide film is now available for purchase (download) on the iefprograms.org/wafsac page and our presenting sponsors, Patagonia, Garage and Madman Entertainment are offering some incredible rewards for those who give their support. This is not a request for you to sign a petition or help stop a powerful corporation from violating the rights of an Indigenous people and in doing so destroying their cultural identity. This is a very real and unique opportunity to empower a community to save their culture. The Mentawai have developed a solution to prevent the loss of their precious culture and knowledge and are now ready to deliver. All they require is for us to purchase their film and hear their story – to simply ‘watch a film, save a culture’. 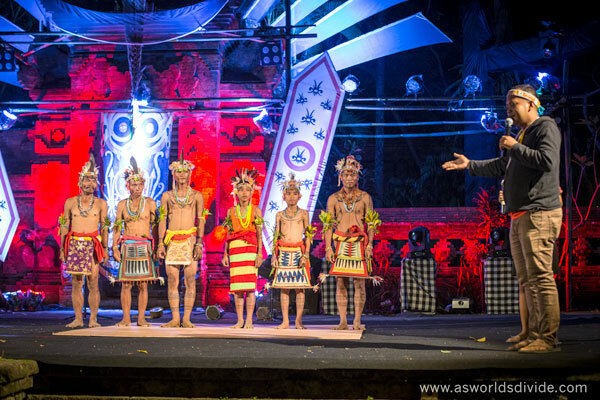 Last Friday I travelled back to Mentawai for the inauguration of their Suku Mentawai Education Foundation. 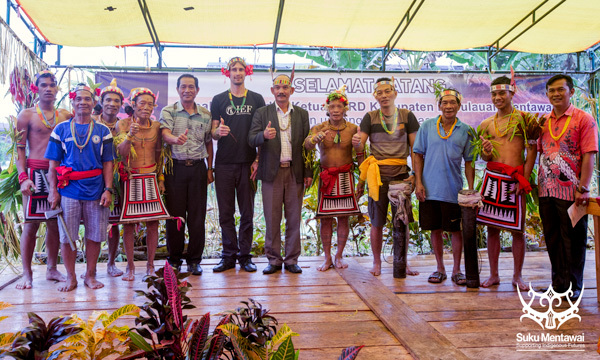 This is an important event to formally introduce the Foundation, their cultural education program, staff and strategy to Mentawai government, village leaders and the wider community. If you’ve ever wished there were more you could do to prevent poverty amongst Indigenous peoples, #wafsac is that opportunity. A few clicks now and over the coming years you will see the difference you’ve made to the lives of many. 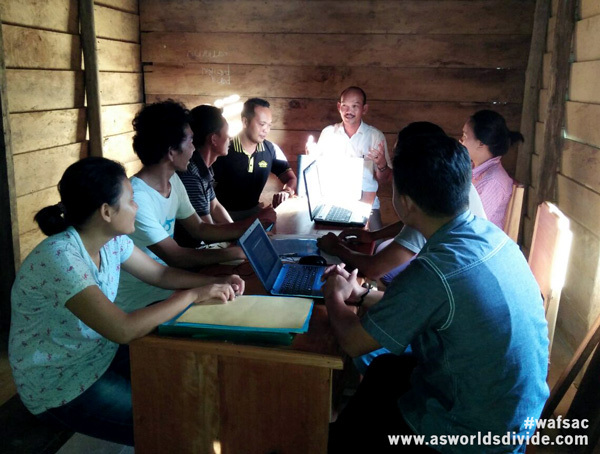 It has been a busy few months for As Worlds Divide, Indigenous Education Foundation (IEF) and the Suku Mentawai team. 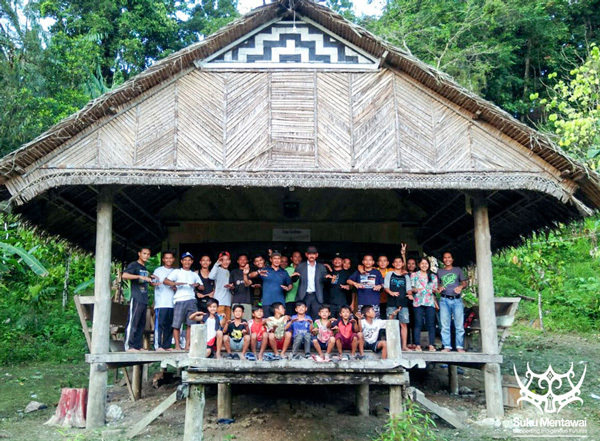 The implementation of their Cultural & Environmental Education Program (CEEP) is now underway and the Mentawai committee driven to ensuring its success. 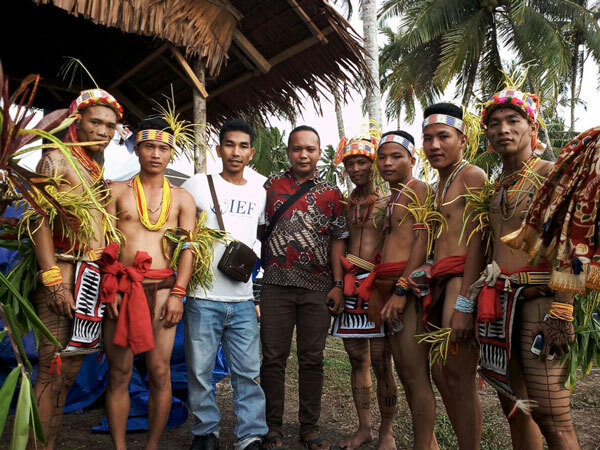 One important factor and indicator of their program’s success is sustainability – how the Mentawai team will operate and expand their program independently when IEF steps away in years to come. 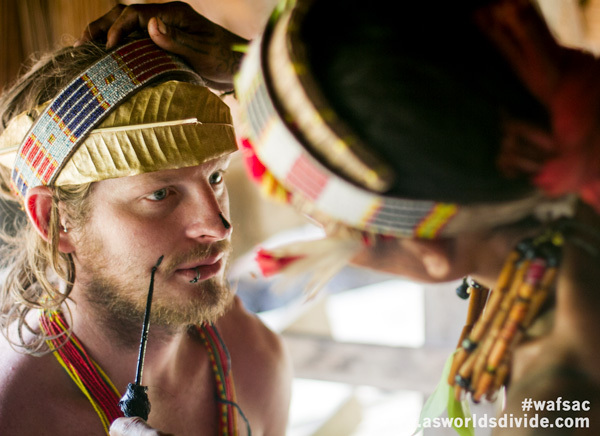 Mentawai’s fastest growing industry is tourism, contributing to a very large portion of their economy. 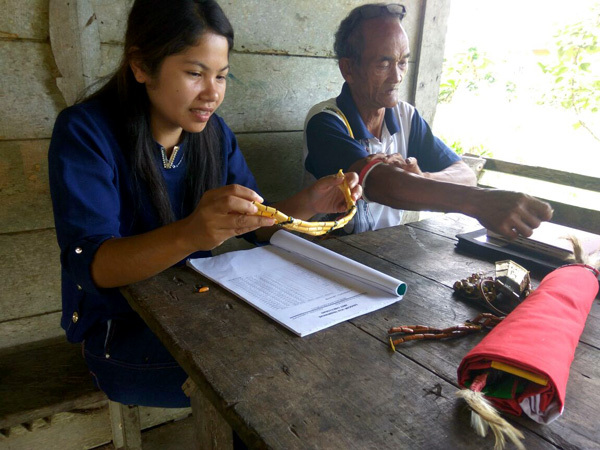 Through this, Suku Mentawai see a viable avenue to generate the funding and support they require to sustain their CEEP. 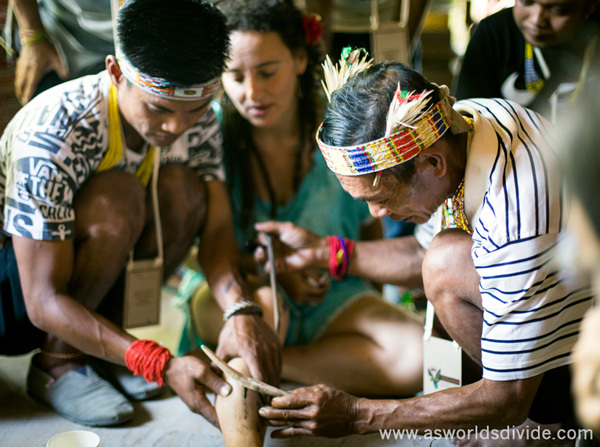 In addition, they also see a great opportunity to govern the impact that forest tourism is having on their Indigenous community, culture and the health of their land. 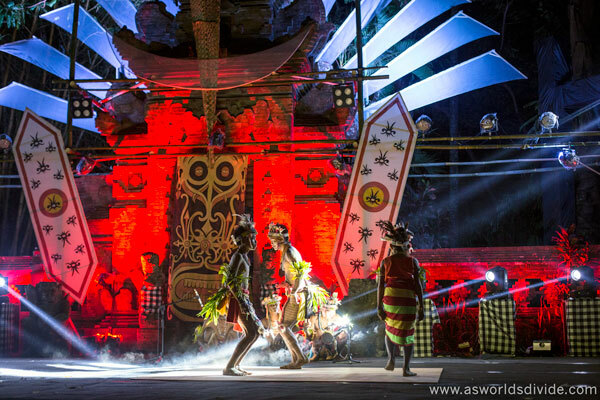 If you are planning to visit Mentawai for trekking or to experience the beautiful rainforest and Indigenous Arat Sabulungan culture, please consider using their Mentawai Ecotourism. The website is now live. Please take a moment to browse, share and follow their updates via Facebook and Instagram. We wish them all the best. In other news, #WAFSAC – Watch a Film, Save a Culture will be launching globally this October – for 30 DAYS ONLY. Plenty of big announcements over the coming weeks. Join our #wafsac community by registering your details at www.iefprograms.org/wafsac This is very exciting. 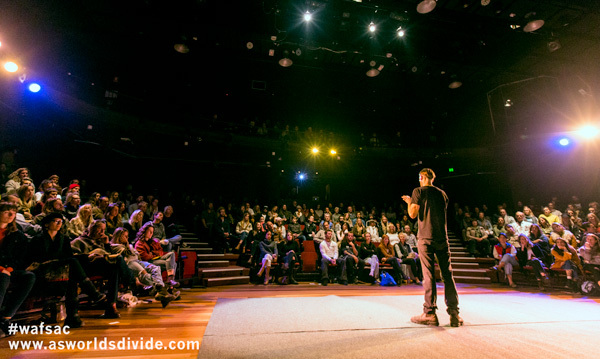 Four months ago we premiered our documentary As Worlds Divide at Federation Square, Melbourne, and in collaboration with the Indigenous Education Foundation (IEF) launched the #wafsac – ‘watch a film, save a culture’ fundraising drive. 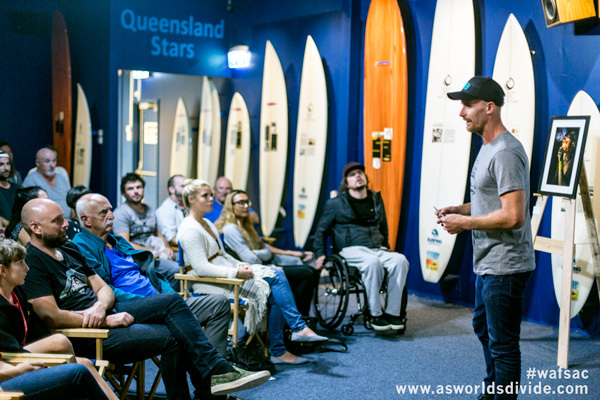 We’ve since held public screening events in Torquay, Redfern, Bondi, Avalon, Newcastle, Forster, Sawtell, Byron, Casuarina, Burleigh Heads, Northcote and Mallorca – raising more than $43,455 for the Suku Mentawai program. Thank you. I’d like to write a little about this #wafsac drive and exactly how it works, as we are receiving an increasing amount of public interest as to how or where to see the film. 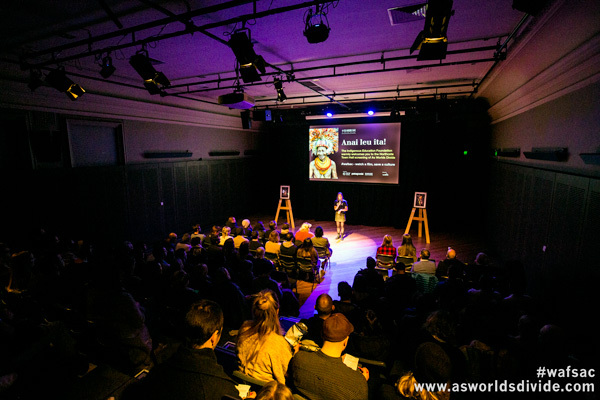 One option is to wait until we organise a public screening within your neighbourhood, but an alternative – and what many do not realise – is that it is possible to stream the film within your home, office or club – right away! All the necessary information about hosting a screening is available at iefprograms.org/wafsac. It’s so simple. All we need from you is a date, time and location. From there, we’ll send a pre-designed invitation to share with friends or family, or to add to your event page. Then on the day of your screening we’ll send you a private link to stream! *Keep in mind that these events can be as big or small as you like – ALL are greatly appreciated. In addition to raising important funding and awareness, these screenings are also helping us build a global community of #wafsac Personal Film Ambassadors (PFA’s) – people who care about the rights of Indigenous people and who want to see this program and campaign succeed. This community is now over 700 strong and we feel we can grow to a few thousand by the time we launch our 30-day global push later this year. 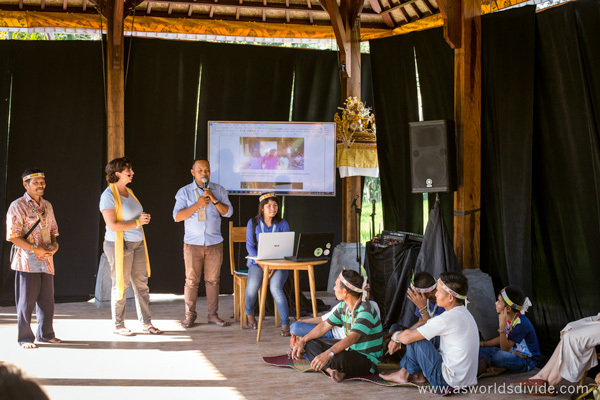 Being a tiny team of volunteers, and focusing a great deal of time and resources on helping progress the program activities in Mentawai, we’ve only managed the 12 public screenings thus far. However, to give you a sense of the spirit of this #wafsac drive and generous support of our audiences, in addition to our own community events, 43 screenings across 9 different countries have since taken place. Through this, you’ve collectively raised another $8,481 for the Mentawai program – bringing the total to almost $52,000. Amazing.